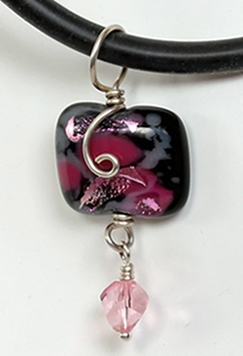 Handmade dichroic bead, crafted by Karen Nan Varela, in shades of pink and gray, on a background of black. Simply wrapped in argentium silver wire. 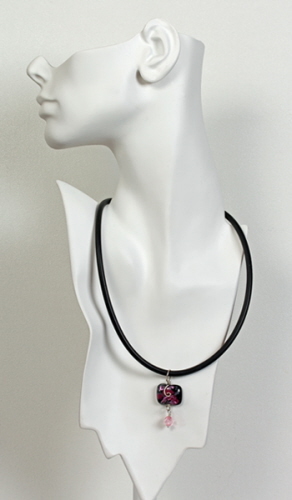 Accented with a Swarovski crystal in light rose. Dichroic bead measures 17 mm x 22 mm. Finished length of pendant is 2 inches. Weight 0.2 oz.